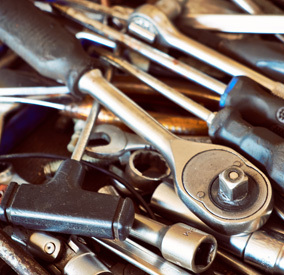 Long Hill Auto Service Offers Auto Repair Services You Can Count On! Why should you come to Long Hill Auto Service? Our number one goal is customer satisfaction! This is done by out performing our competition and treating each person as an individual client. We strive to have the highest quality customer service in our industry, while maintaining the highest quality of workmanship. Since 1986, Long Hill Auto Service has provided motorists in the Millington, NJ 07946 area with comprehensive auto repair services that include 4x4 Services, Alignment, Auto Body / Paint / Refinishing Services , Auto Detailing, Brakes, Car & Truck Care, Domestic Cars & Trucks, Electrical Services, Electronic Services, Emergency Roadside Assistance, Engine & Transmission, Engine Maintenance, General Services, Heating and Cooling Services, Ignition Interlock Systems , Import Cars & Trucks, Inspections and Emissions, Miscellaneous Services, Tires, Towing, Towing & Recovery, Transmission Services and Undercar Services. Our goal is to offer the best services available at affordable prices to get you back on the road in no time. 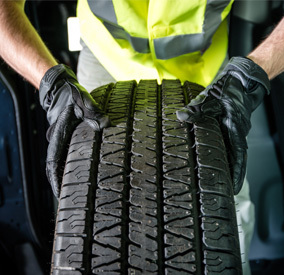 For a high-performing vehicle, trust Long Hill Auto Service with your car, truck, or van. To learn more about the services we offer, please contact us by phone at 908-647-7984 or send us an email. We also invite you to learn more about our dedication to you, our valued customer. *FREE* Long Hill Auto offers free air as well as a free vacuum! Both of these are available 24 hours a day, 7 days a week. Try finding another shop that offers free tire inflation, as well as a free vacuum! The days of free air are long gone, and we can never recall another repair shop offering a free vacuum, but not at Long Hill Auto. While local car washes may not be happy about our free vacuum, we are sure our customers will be, and that's what matters to us! We also offer **FREE** Charging Stations for your Green Vehicles. Long Hill Auto is BY FAR the best car repair experience I've ever had- and I've had MANY...This shop is the classiest act going! You will not find an Owner like Bob who takes more pride in his business and his work. As if the incredible service wasn't enough, the prices for all work done were fair and reasonable. Save your money at the dealership and take your car or truck somewhere much better, Long Hill. I will not be taking my car anywhere else ever again. From regular maintenance, to pesky issues, Bob and the team at Long Hill will always have my business for as long as I'm driving! Great shop I highly recommend taking all of your vehicles here! Everything shines, from the massive shop toolbox to the floors you could eat a steak off of. Amazing upkeep and quality in everything they do. Not to mention the awesome staff. Jack a technician at Long Hill Auto gave me a bag of tea that made my night. I have to say... Jack is the best... 5/5 10/10 100% A+ Service. Long Hill Auto Service reminds me of what was once synonymous with service providers - customer focused, knowledgeable and quality. I found myself a new mechanic and would highly recommend Long Hill Auto Service. Bob and the crew!!! One word - OUTSTANDING in every aspect!!!!! Awesome service! Had our BMW towed from highway and was back on the road fast...friendly and welcoming guys! Our garage for 30 years. Gets it right first time. This place is great, we have been going here since 2009. Not the cheapest but worth it in the service. Clean place and very trustworthy owner. Fixed my two flat tires here , excellent service in a clean place! Friendly, honest and well trained staff. ...It was not a cheap project but the main point is everything was done timely and beyond professionally. I got very lucky that Shawn is an expert in the model truck we had to work on and we basically did a mechanical overhaul in three phases. Bob's shop is sparkling clean and I never felt like my truck was put on the back burner. I would recommend this shop for high end restoration work, body work and just everyday service. I think we will be taking all of our cars here going forward. Keep up the great work Long Hill Auto - the community needs more experts and less hot air! Excellent, prompt service. All technicians are knowledgeable and personable. Will recommend to others. Long Hill Auto has the best mechanics around. Bob, the owner, is not only professional but extremely knowledgeable. He will not rip you off. If you don't need a service he will tell you. I have referred many friends to Bob's shop. Long Hill Auto has exceptional service! Excellent service in a clean place! 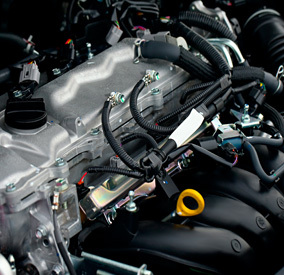 This shop can accurately diagnose even the most difficult auto issues. Friendly well trained staff. They give honest and punctual service. They are the only outfit in NJ who I trust for car maintenance. Honest, reliable, dependable and the list goes on. I can't say enough about Bob and the mechanics at Long Hill Auto Service. I've been going there since I first started driving and wouldn't even think about going anywhere else. I wish that I could give him more than 5 stars! I took my 1963 Rambler to Long Hill Auto recently. The shop is clean and organized, the mechanics friendly and knowledgeable. They diagnosed a particularly difficult problem and made the repairs. The owner recommended what needed to be done to "make it right". I appreciate that. I don't like shops that just recommend the bare minimum for the lowest cost. They use the right quality parts and the service rates are competitive. Will come back for service for my other cars. Recommended. Since we moved to the area over 12 years ago we have relied on Bob and his staff to keep our vehicles in excellent working order. 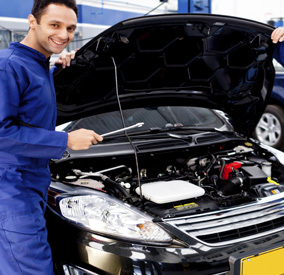 We have found Long Hill Auto to be professional and the work quality excellent. It's rare to find a local repair shop that will also provide a loaner vehicle for a job that while take a significant amount of time. A big thank you to the entire staff at Long Hill Auto. I've been servicing my vehicles at Long Hill since the mid 90's. Bob and his techs are true pros, all very skilled, knowledgeable and accommodating. Immaculate shop, state of the art equipment, they treat your car like it's their own. Highly recommend their services. This company is first class in service, professionalism and going the extra mile to deliver customer satisfaction. Really nice staff. Thank you all especially for the peace of mind. Long Hill auto is a great place which is run by great people. When you walk in you can see everything that goes on and how pristine and organized they are. From the looks of it, they have almost every tool known to man. Ive had my car serviced here multiple times but the last time I went, they were able to help me so much quicker than I thought. If your looking for a reliable shop to get your car into, look no further. Moving in the right direction! The owner has taken the YELP feedback seriously and has made a very concerted effort to resolve the prior issue stated on an earlier review. I commend his passion and commitment to his business. He has since taken responsibility for the poor customer service I experienced and has offered for me to come back to the shop anytime and give him, his crew, and his shop another chance. Another trip to LH Auto and again more than satisfied with the experience! Thank Bob and the rest of the crew!! I've been to Long Hill Auto Service several times now as they are located in close proximity to my job in Millington. Overall I have been happy with their work and overall attention to my needs. The owner Bob seems friendly and has always gotten the job done quickly when I've taken my Jeep Grand Cherokee in for service. Cost of labor/parts seem to be inline with most mechanics so not a discount garage. They have a very good reputation which is a big factor for me when trying to find a new mechanic. Having been in the car business for 10 years I know they are doing well economically. Then again they seem to be providing honest advice and haven't suggested work I haven't needed which a lot of mechanics will do. I don't mind paying for work which I need and appreciate their honest advice. I hope this continues and will update after my next visit for a tune up. I bought tires here and redeemed an offer for a free oil change. They did everything fast, and (with some haggling and comparing of other shops) I could not have gotten a better deal. I will certainly come back. Another great experience at Long Hill Auto for my newest ride a 1970 Cutlass! Fair price and Horst approach is why I go back. I have been bringing my car to long hill auto for 20 years, as well as my parents, and have recommended it to friends. It is very difficult to have honest and caring mechanics, and Bob has been great to myself and all I know. Just recently I left my windows down in the rain and they would no longer work. They had to order new parts, take apart the door in order to fix it. Sadly a week later the windows again stopped working. I brought it back to Bob, he fixed it free of charge and gave me a loaner car, as it was a defective part, not their workmanship. I am happy to say, it is working great, andam yet again very pleased with their service. Kudos to Long Hill Auto!! They say when it rains it pours. Once again Long Hill Auto has rescued me. On my way to work Saturday morning I had this horrible sound coming from under my hood. Here a I am at 7am driving to long hill auto to see if it was ok to drive. One of the mechanics was there and told me I needed a water pump and no he wouldn't let me drive it. By 7:20 am I was on my way to work with a loaner car. You just can't beat the service you get at Long Hill. He could have told me the boss won't be in till 8 talk to him but he knew I had to be to work by 7:30 and he knew my truck wasn't safe. Please believe me when I say. Everyone at Long Hill Auto works to please the customer. The customers safety and personal issues are the top priority with these guys. I got the phone call at noon on Monday to let me know my truck was ready. You can't compare Long Hill Auto to any other mechanics. Quality and concern from these guys can't be beat. Thanks once again. What wonderful customer service! Thank guys I'll be coming back again!